Maps surround us everywhere in our life, study, work, traveling, they are widely used in geography, history, politics, economics, and many other fields of science and life activity. But designing of maps is usually complex and labor-intensive process. 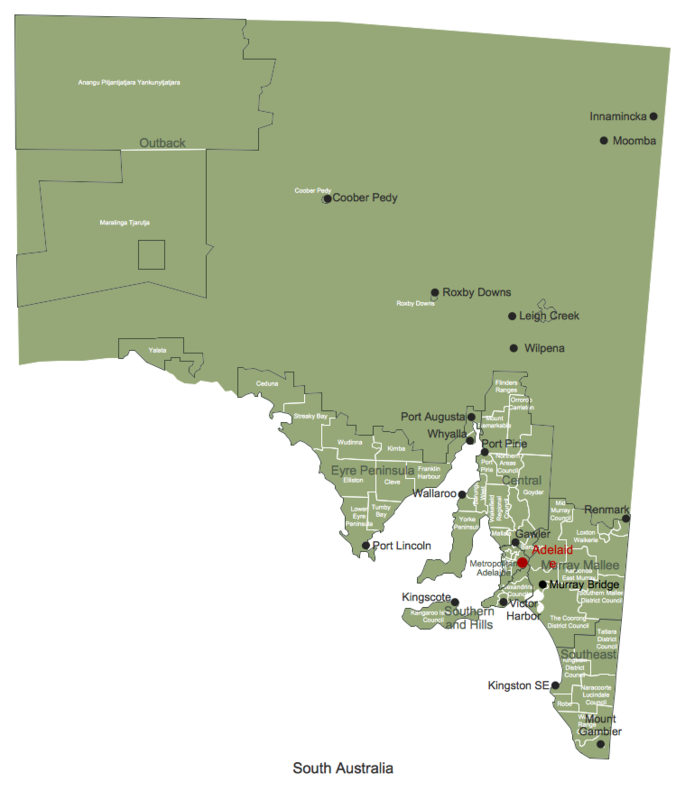 Now we have the possibility to make easier this process - ConceptDraw DIAGRAM diagramming and vector drawing software extended with Australia Map Solution from the Maps Area of ConceptDraw Solution Park will help us in easy drawing detailed Australia map. 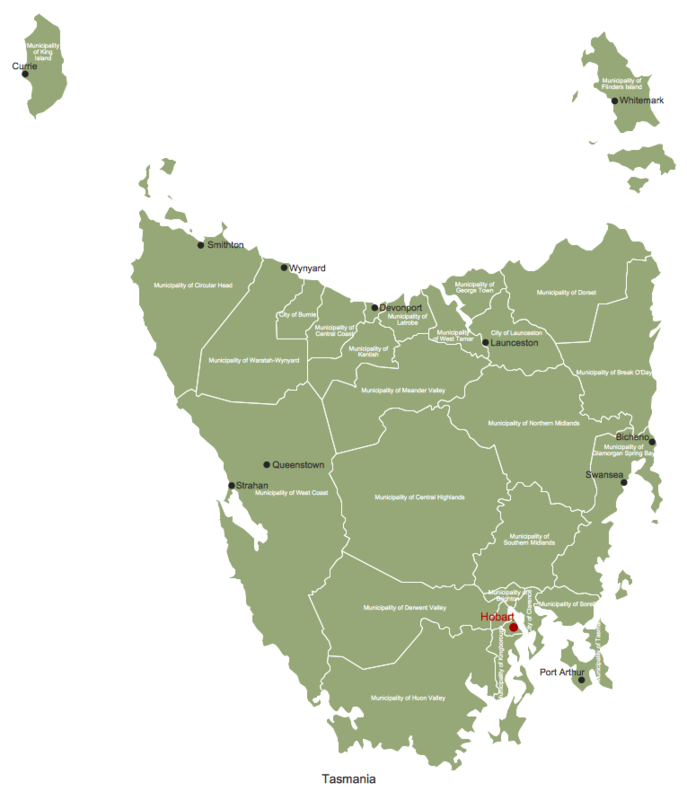 These elements allow design the map of any Australia state or whole Australia map literally for the few minutes. Besides, all these objects are vector, so you can resize them without loss of quality. Highlight with color some details or regions to make your map more interesting, bright and attractive. 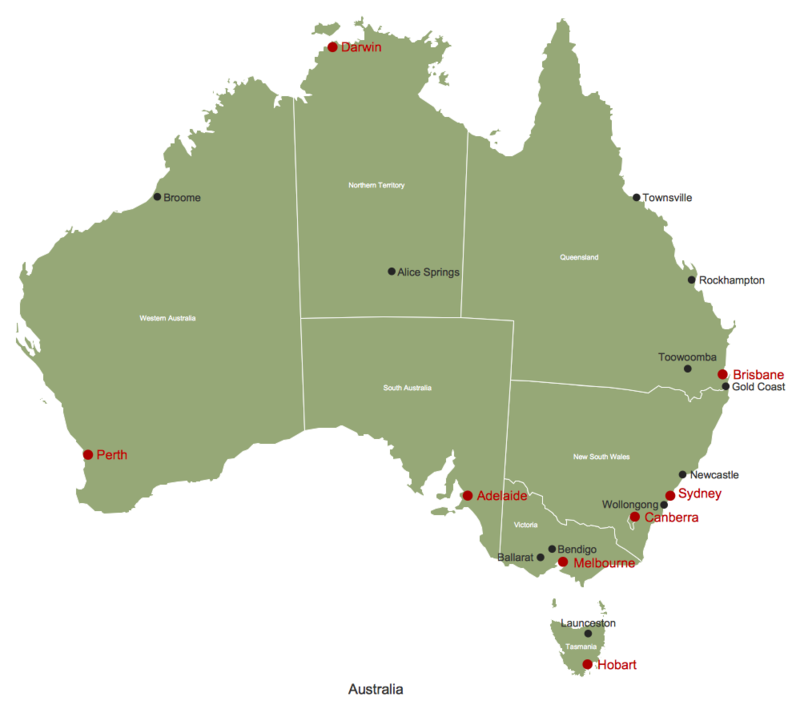 Australia Map Solution includes also collection of samples which are available from ConceptDraw STORE. 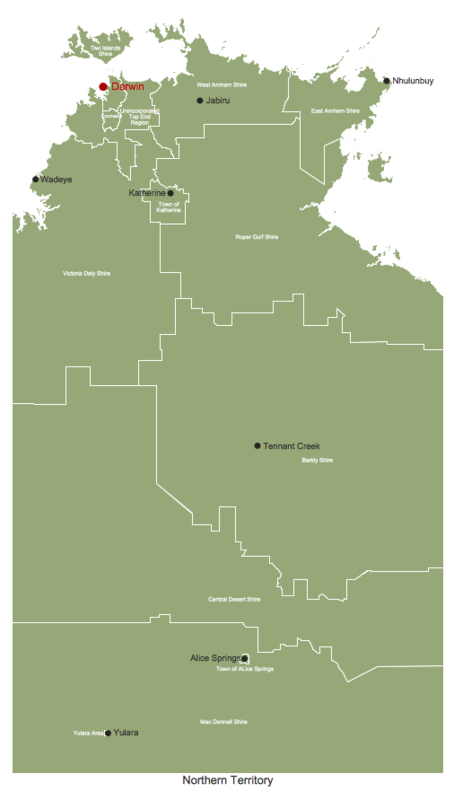 All these example maps are the good base for variety of Australia thematic maps. 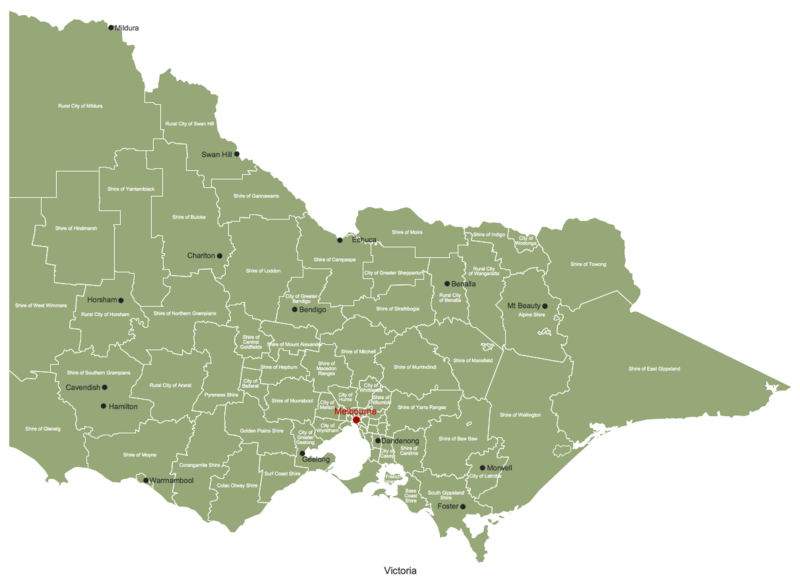 The samples you see on this page were created in ConceptDraw DIAGRAM software using the tools of the Australia Map solution. 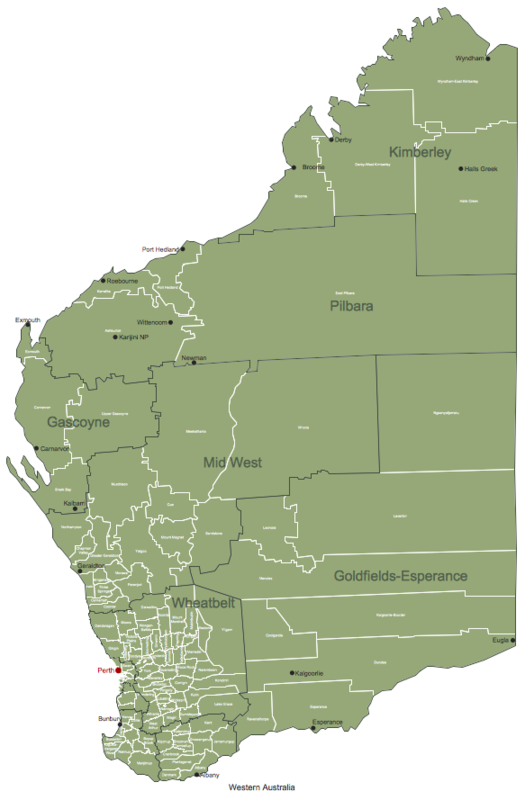 They demonstrate Australia Map and the map of Australia Queensland Local Government Areas. An experienced user spent 10 minutes creating each of these samples. 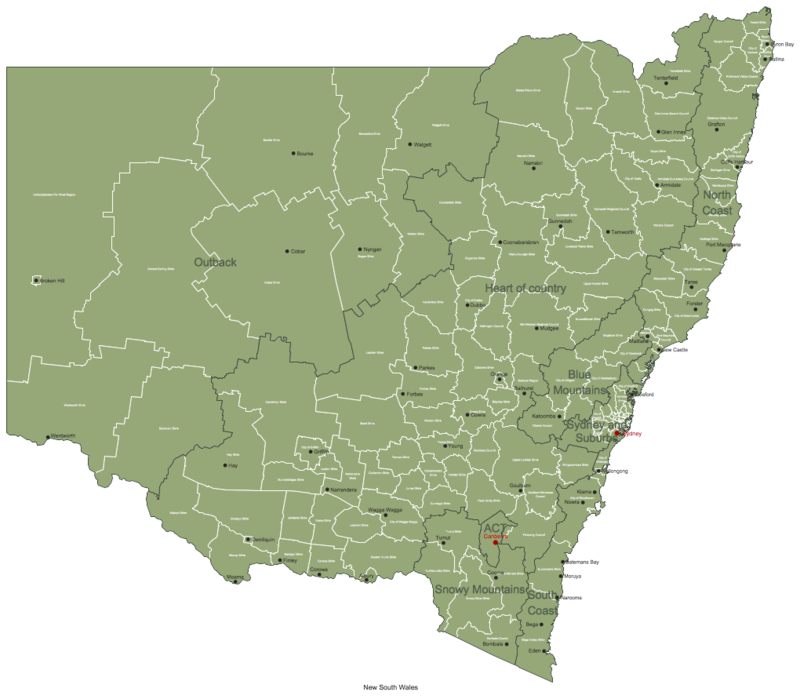 Use the Australia Map solution for ConceptDraw DIAGRAM software to design your own Australia map and thematic maps on its base quick, easy and effective. All source documents are vector graphic documents. They are available for reviewing, modifying, or converting to a variety of formats (PDF file, MS PowerPoint, MS Visio VSDX, and many other graphic formats) from the ConceptDraw STORE. 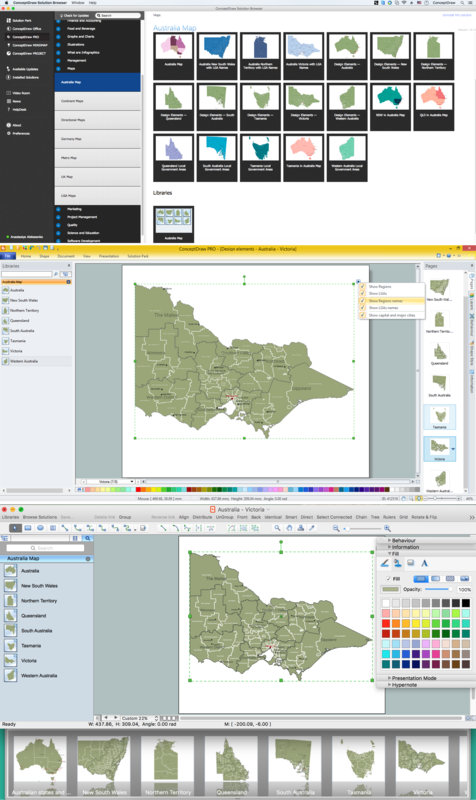 The Australia Map Solution is available for all ConceptDraw DIAGRAM or later users. 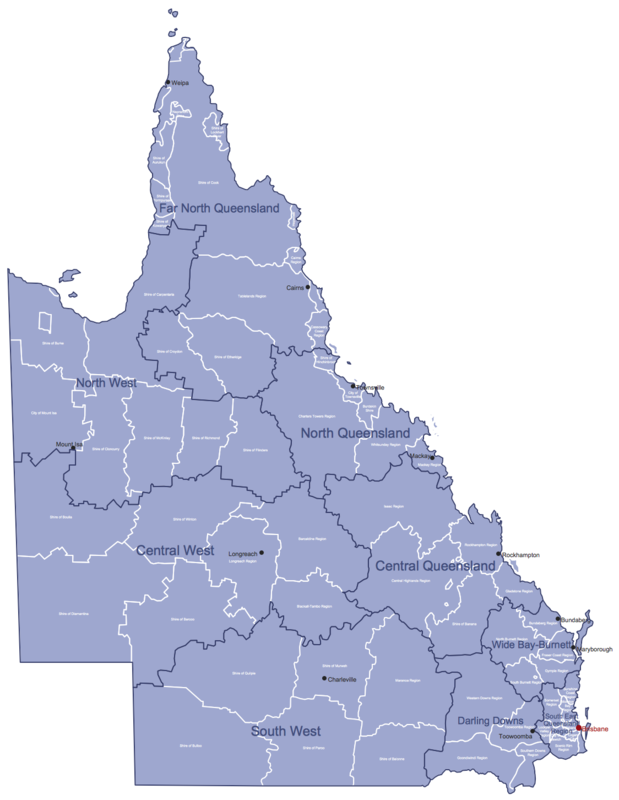 Queensland (abbreviated as Qld) is the second-largest and third-most-populous state in Australia. Maps surround us everywhere in our life, study, work, traveling, they are widely used in geography, history, politics, economics, and many other fields of science and life activity. But designing of maps is usually complex and labor-intensive process. Now we have the possibility to make easier this process - ConceptDraw DIAGRAM v12 diagramming and vector drawing software extended with Australia Map Solution from the Maps Area of ConceptDraw Solution Park will help us in easy drawing detailed Australia map. Florida is a state in the southeastern region of the United States, bordered to the west by the Gulf of Mexico, to the north by Alabama and Georgia, to the east by the Atlantic Ocean, and to the south by the Straits of Florida. The vector stencils library Florida contains contours for ConceptDraw DIAGRAM v12 diagramming and vector drawing software. This library is contained in the Continent Maps solution from Maps area of ConceptDraw Solution Park. Queensland (abbreviated as QLD) is the second-largest and third-most populous state in Australia.